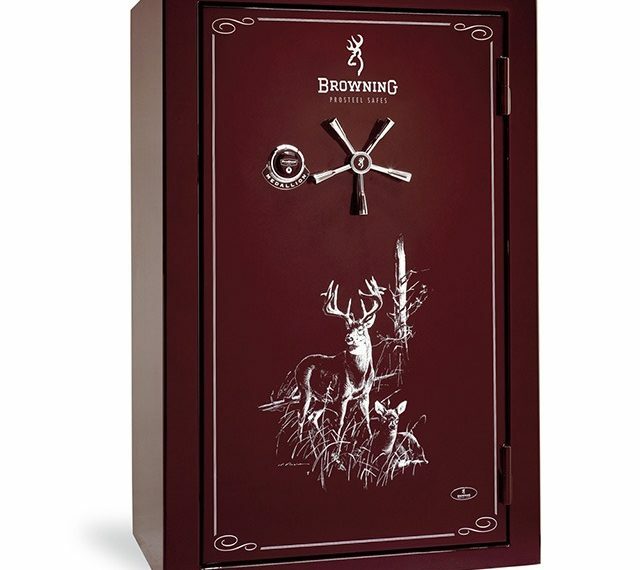 Where are Browning gun safes made? If you are seriously searching for a top storage unit for rifles, shotguns, pistols and other valuables then you are definitely on the right path. Browning is one of the most popular rifle and pistol safe brands in the world today. From North America to Europe and every corner of the world, the company’s products continue to leave lasting impressions on gun owners. The manufacturer has a wide range of models in its gun safe line ranging from executive handgun safes to luxurious large vaults for storing lots of rifles. Browning’s range of safes can be a gun collector’s dream. All you have to do is to anticipate your storage needs and select the model that best meets them. 1 Where are Browning Gun Safes Made? Where are Browning Gun Safes Made? 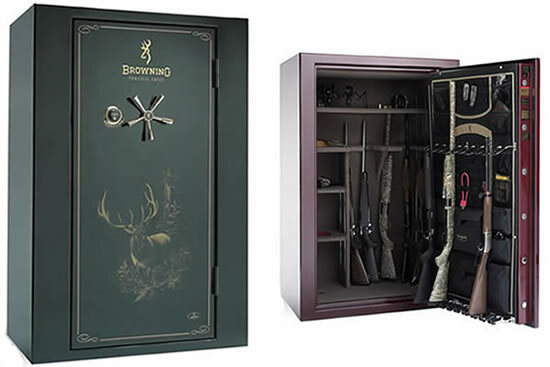 Just like most elite gun safe manufacturers today, the Browning gun safe product line is proudly manufactured in the United States. With some of the highest engineering standards in the world right here at home, the manufacturer believes that American consumers nothing but the best, most secured safes. In spite of the lower manufacturing costs in China and other 3rd world countries, the brand hasn’t budged. Every purchase of a Browning Safe therefore doesn’t just give unrivaled security for your guns and ammo. It also gives you an opportunity to put money into the American economy and contribute your quota towards saving American jobs. There are lots of reasons why Browning safes are superior to their rivals. Here are a few points as to why. Browning is one of the most respected firearm manufacturers in the world today. Since 1878 when John Moses Browning manufactured his first Single Shot rifle, the company has been a huge player in the security market. Browning Safes are therefore designed by a brand that has first-hand knowledge of the gun industry. It therefore taps into its in-house security experience in order to come up with models that give ultimate protection for your guns. If you are looking for a safe that deters various forms of unauthorized access, it better be a Browning. Industry players believe American steel is the best in the market today. While steel which originates from other parts of the world may be cheaper, they don’t have the same level of ruggedness as their American counterparts. Browning makes use of this top quality steel in the manufacture of all of its safes. This ensures that consumers get the right level of protection against the most sophisticated break-in tools. Since American standards are more stringent than those available in other parts of the world, safes from this manufacturer tend to hold up for many decades. 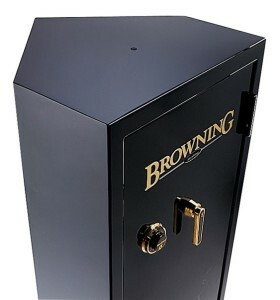 Browning has one of the widest ranges of safes in its manufacturing line at the moment. From small units that can store just one or two handguns to large security cabinets for multiple rifles, you can find the right safe to meet your needs every single time. The company continues to rely on the highest technological advancements to meet the evolving security needs of gun owners. If you are in doubt about which brand of gun safe to purchase, just go ahead and get a Browning! Browning is one of the most renowned brands in the gun safe industry. After decades of being a giant in the market, you can expect its range of safes to be some of the most secured in the world. If a safe with top notch security is what you are looking for, choose one of the brand’s safes and you won’t regret it.